- AVAILABLE IN MEN'S CADET, REGULAR & TALL LENGTHS! THIS OFFSET MODEL REDUCES SLICING AND FEATURES THE TRADITIONAL HAMMER FORGED FINISH. The Suggested Retail Price for this item is $299.95 ...Your price is MUCH BETTER!! 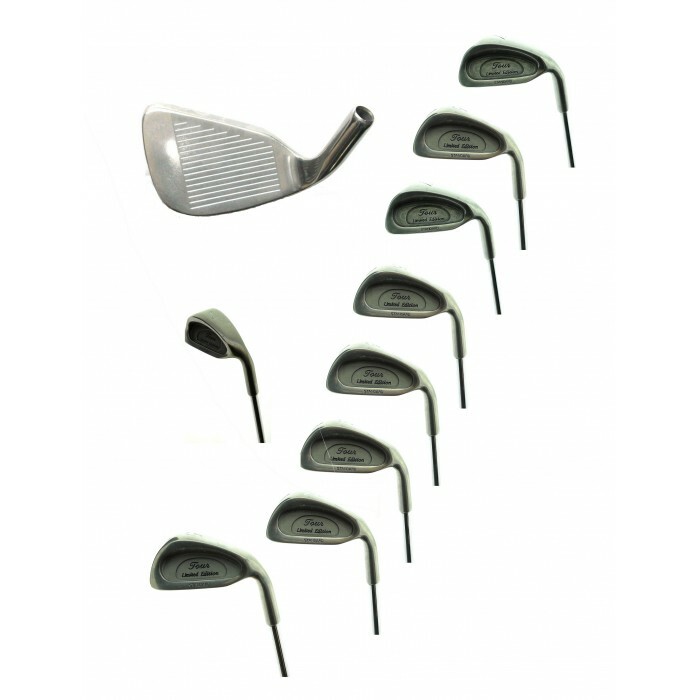 4, 5, 6, 7, 8 & 9 IRONS: Stainless Steel heads, Cavity back, perimeter weighted and Over sized for maximum forgiveness and accuracy (Lofts: 23-27-30-34-38-42 and 48 degree Pitching Wedge). DISTANCE and ACCURACY, off the TEE or off the FAIRWAY! That's what you can expect from these superb irons. These very Handsome Irons were inspired by the very popular PING EYE II SERIES Irons and are real "Shot Makers" or should we say "shot savers"! The Oversize Stainless Steel heads with the the Cavity Back, Perimeter weighted golf club head design makes it much easier to hit a nice HIGH STRAIGHT shot while still allowing you to "work" or "shape" your shots!! This club head design technology, plus the superior Shaft Technology produces a club with awesome distance that's easy to swing. "I started playing these irons and I cannot believe how much better I'm hitting the ball". Having GOOD EQUIPMENT means getting better distance with a more relaxed swing and THAT FEELS GOOD!! These sets are built in our Highland, Michigan facility, they are fully assembled and ready to play!! We hope you enjoy playing these fine sets as much as we enjoyed crafting them!! AMERICAN GOLF EXCHANGE is headquartered in Highland Michigan! 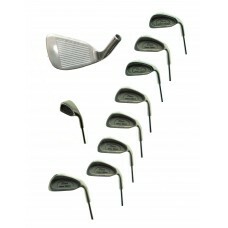 We know you will enjoy playing these fine golf clubs as much as we enjoy crafting them! And we GUARANTEE that you will be SATISFIED!